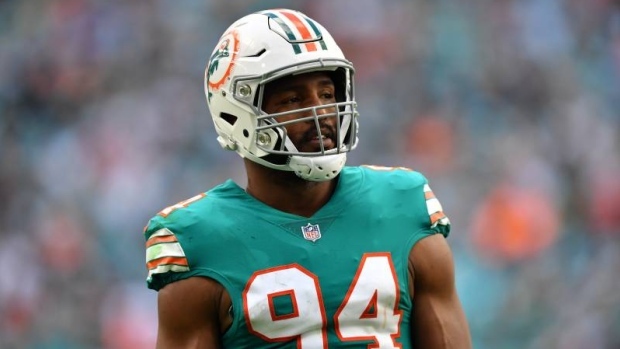 The Dallas Cowboys are currently engaged in trade talks with the Miami Dolphins to acquire two-time Pro Bowl defensive end Robert Quinn, according to NFL Network's Tom Pelissero‏. According to Pelissero in order for the deal to happen, Quinn would have to agree to be dealt to the Cowboys. The defensive end is visiting with the Cowboys today, per Pelissero. The 28-year-old Quinn registered 35 tackles and 6.5 sacks with the Dolphins last season, his first with the club after they acquired him from the Los Angeles Rams ahead of the 2018 season. He spent the first seven years of his career with the Rams, receiving Pro Bowl nods for his 2013 and '14 campaigns with the team.